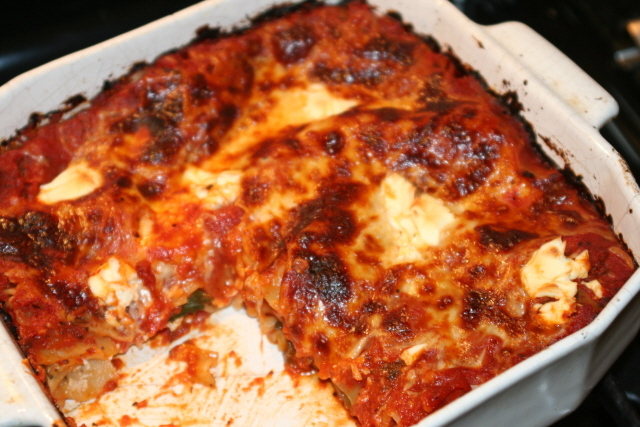 This recipe came out of my craving for lasagna one night, but I didn’t have any ricotta – only cream cheese and I had a lot of fresh spinach I wanted to use. I found that the cream cheese, adds a rich, creamy layer and a depth of flavor, which tastes so much better than ricotta. Cream cheese is also cheaper and I usually have it on hand. Another great thing about this dish is that you don’t precook the noodles, which is a huge time-saver and much easier! I prefer my pasta noodles “al dente”, and if you use a lot of sauce and let it sit a while before you cook it, the noodles turn out perfect. When I use precooked noodles they always turned out mushy. This recipe is so easy and so good. 2. Take an 8×8 pan and spread enough pasta sauce on the bottom to make a think layer to coat the bottom of the pan. Lay one layer of noodles out. You will have to break them. I fill in the sides and open spaces with broken noodles to make a nice layer. 3. 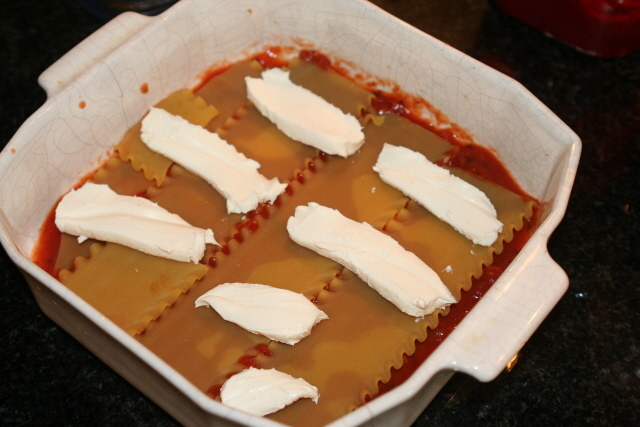 Cut the cream cheese into thin slices, or dollops and just evenly lay on top of the dry noodles. I usually have a slice left to use on top layer. Tip: An alternative to dropping cream cheese dollups, is to combine the cream cheese in a pan with about 1/2 – 1 cup of chicken broth, to make a thick sauce. 4. 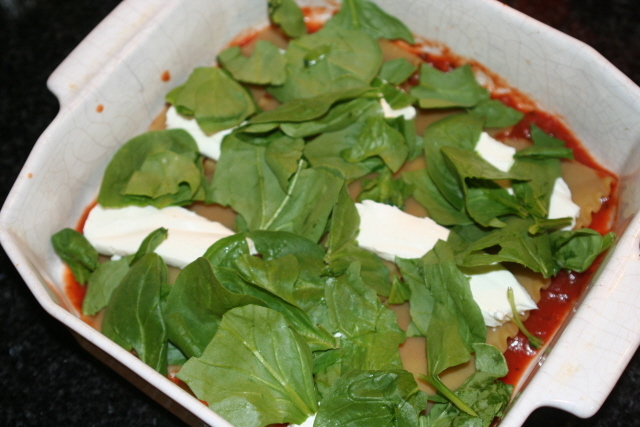 Cover this layer with fresh spinach, then top with pasta sauce and mozzarella cheese. 5. Add another layer of noodles. Top with sauce, then remaining cheese, and if I have any cream cheese left, I just put dollops on the top spread out. 6. Let sit for about 15-30 minutes. The liquid from the sauce helps begin to soften the noodles. 7. Cook covered for 30 minutes, then uncovered another 10-15 minutes to brown the top. 8. Let sit for about 10 minutes before slicing to allow it to firm up. Enjoy! 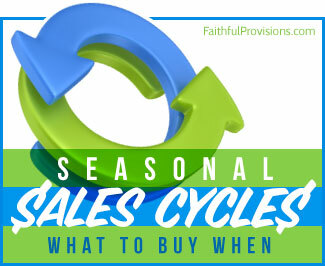 Looking for more money saving recipes? Check them out in my Cooking 101 series here. I made this last night and was so impressed. My entire family loved it. My 2 year old son and 3 year old daughter inhaled it! I was a little leery about trying it with spinach, because I wasn’t sure how the kids would like it, but I don’t think they even knew. My husband didn’t even miss the meat, which is a big deal. 🙂 Thank you for the great recipe. This will probably be my go-to lasagna recipe now. Kim – I am so glad you liked it! I actually use my Homemade Spaghetti Sauce as the middle layer (if I have it), which is loaded w/ ground beef, peppers, onions and mushrooms – then use the jar of sauce for the bottom and top layers for liquid to soften the noodles. I have the recipe link in the recipe above. I made this tonight an it was sooo good! Thanks for sharing this awesome recipe. Have you ever used the lower fat cream cheese for this recipe? Does it melt well enough? I know some low fat cheeses do strange things when you cook with them. Let me know! Katy – I always use the 1/3 fat cream cheese in all my recipes. I don’t think fat free will work, but 1/3 fat does great! And, I don’t taste a difference at all :). Great…Looking forward to trying it. I don’t like the texture of ricotta cheese, so I am so excited to try this recipe! 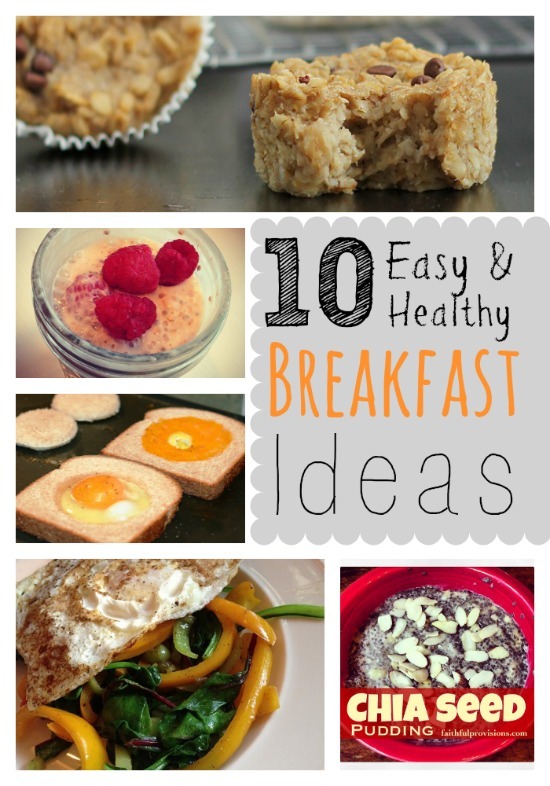 Easy – and Yummy. Adding more spinach, or some grated carrots would even be more filling…..who needs ricotta! How wonderful this looks and sounds!! Great way to go meat free one night or two…thanks!! I cannot wait ti try this!! I am planning to make this for a pot luck. Is it ok if I make it in the afternoon and put it in the fridge and then cook it in the evening? or will that soften to noodles too much? It will be PERFECT if you make it ahead! You might just cut the cooking time back by 5-10 minutes. Hope it’s great!